Exchange 2013 CU1 has now appeared. 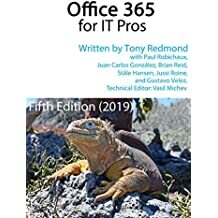 My review of the new release is available on WindowsITPro.com, where I have also posted some notes on the approach needed to update mailbox servers that are members of a Database Availability Group (DAG). This entry was posted in Exchange 2013 and tagged Exchange 2013 CU1. Bookmark the permalink. This is great 😉 now Exchange On-Premises customers world-wide can start the Exchange upgrade project from Exchange 2007 or Exchange 2010 to Exchange 2013 On-Premises.